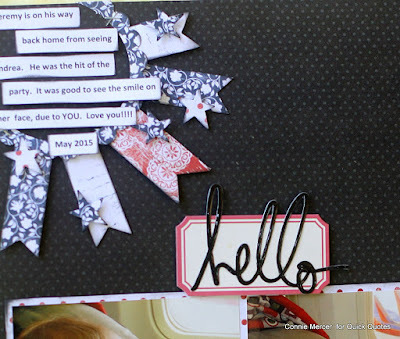 Hi, Connie here with a scrapbook page using more goodies from the July Club Q Kits. This kit was so full of cute embellies and the papers are shiny! So fun to work with! Check out the little corner banner~super cute! Everything you need to make it is in the kit . 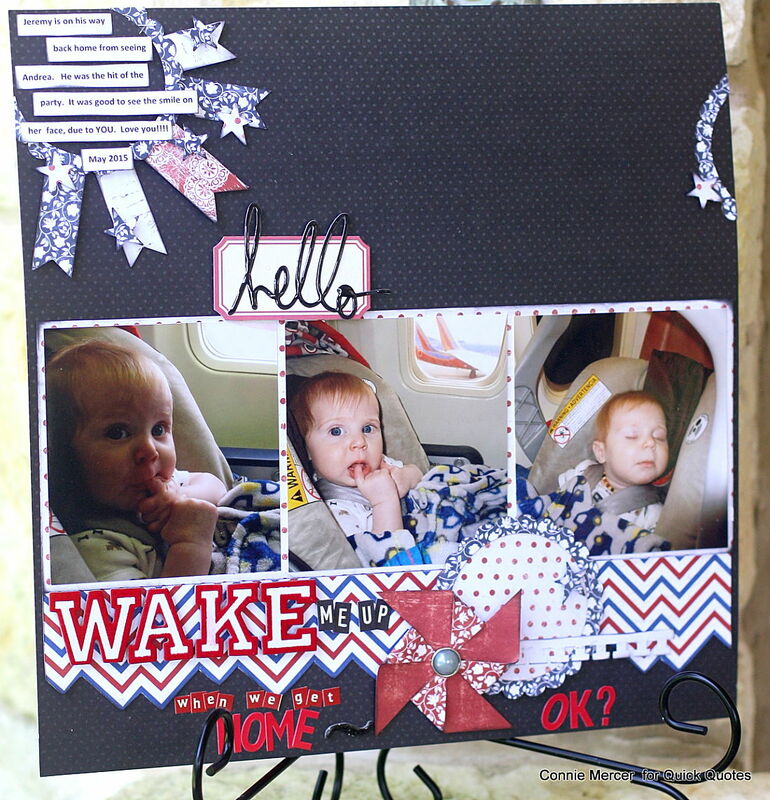 This little guy makes scrapbooking a page, so easy~just look at those eyes. Love him!! I stayed with the 3.5" size photos and just went across the page. 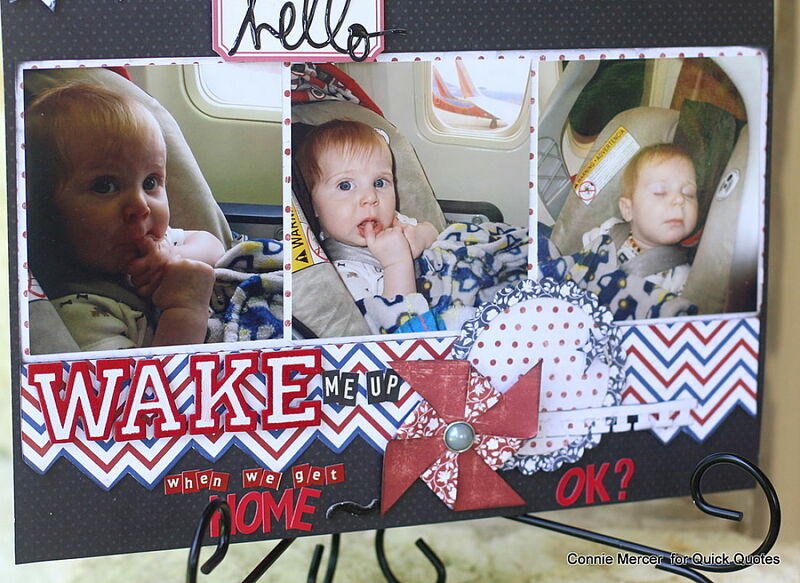 I was inspired by the photos and named the page; "Hello: Wake Me Up When We Get Home, OK? ".